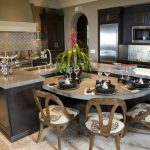 Exotic countertops, gorgeous plants, opulent crockery & kitchen seating and timeless decor themes are some of the vital elements which can convert any kitchen into a luxurious one. 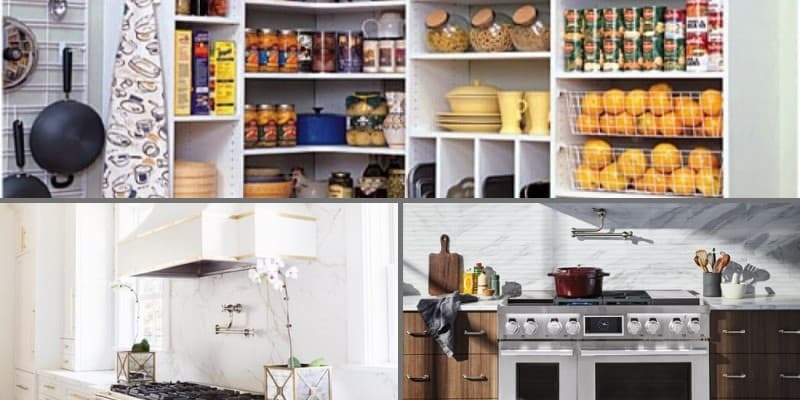 Even if you have tried the low-budget tricks to introduce grandeur in your kitchen, some purposes can be better solved with making the right investments. A luxurious kitchen setting not only focuses on adding glamour with the latest appliances & kitchen tools but also aims at enhancing mobility and functionality of the available space. 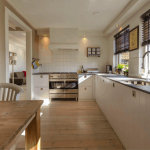 Needless to say, any house is incomplete without a kitchen and if you are a homeowner who likes to live, cook and eat in luxury, then read on the following post to give your kitchen a gorgeous makeover. The first thing which catches the eye of any guest will be the overall look of the kitchen space, and the only way to make it a hit one is by paying attention to the detail. 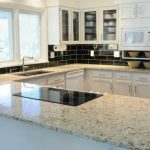 From kitchen tops and the flooring to tiles or wallpapers and the order of the kitchen, every little thing will be under the radar, especially when it’s a luxury kitchen. The trick here is to keep the trends and your needs in sync for mind-blowing results. Once you know what you need for ease of cooking, the following points can help you make the right choices. With your kitchen getting an upgrade from standard to luxurious, it’s essential that you place your attention on the refrigerator as well. While there are hundreds of options to choose from, the one which resonates well with your requirements and yells out expensive effortlessly should make the cut for you. To give your appliance a more chic look, opt for built-in refrigerators which are easy to install, offer better ease of use and is a great storage option as well. Nothing yells out a luxe kitchen than a lavish walk-in pantry in the kitchen. Such a storage space not only looks great but since the focus is on putting almost everything on display, managing the rest of the kitchen becomes easier. 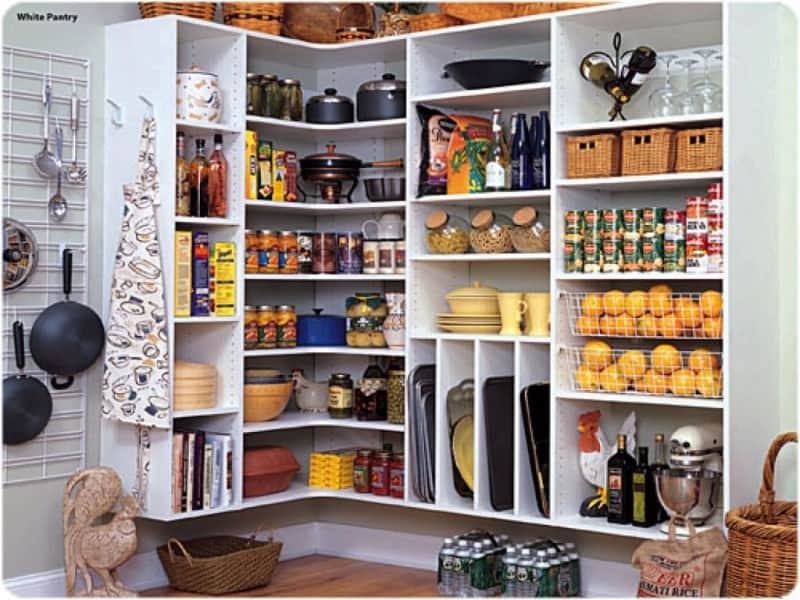 This pantry will house all your exclusive food items, thanks to the numerous cabinets, shelves and storage areas in it. Make sure you spare a few handy appliances such as juicer-mixer, jars, mini-bar refrigerator and microwave tucked in between all your favourite treats for enhancing the mobility. Coming to an absolute essential in your kitchen, the drawers that your kitchen houses cannot be typical and low-key. When installing new sets of drawers and rollers, focus on ensuring that all your necessary utensils and other cutlery items are accessible. You can choose from general drawers, refrigerated drawers, warming drawers or all of those as mentioned earlier keeping your luxury needs in mind. Consult with a kitchen decor and furniture expert before you pick the drawers to find the best fit. What’s a good kitchen without the ease of movement and great functionality, right? Same goes for every luxury one as well. Top-quality stoves, high-end appliances, easy to use drawers and rollers and space to move and operate are some of the essentials which make any kitchen a functional one. 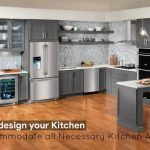 Impressive sinks and unique kitchen cooking tools like pot fillers and pressure cookers along with best in class induction cooktops and fancy movable cooking surfaces are some of the things you must consider for your lavish kitchen. Now that you have a grander kitchen to your disposal, make the most of your space by installing dual equipment for enhancing the kitchen productivity considerably. Two significant things which will make a great difference is dual cooking tops or stoves and dual dishwashers. Whether you live with your in-laws or you frequently have guests over for dinners, doubling the cooking capacity will lessen your cooking time, thus giving you enough of it to relax, get dressed and have fun at your gathering. Also, it will help you save your energy for other vital tasks. Dual dishwashers will be quite handy at the same time as well. What makes a huge difference when it comes to big kitchens is your skills in keeping it neat and organised. That being said, your kitchen should be orchestrated in a manner to provide a designated space for every little thing. 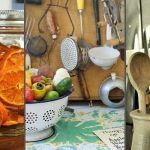 Form spoons and bigger utensils to glassware and kitchen tools, when everything is put right in place, then the task of arranging or finding stuff will be much easier. Work with your architect to carve out cabinets, pantry area and other essential storage spaces which will be quite useful for you. 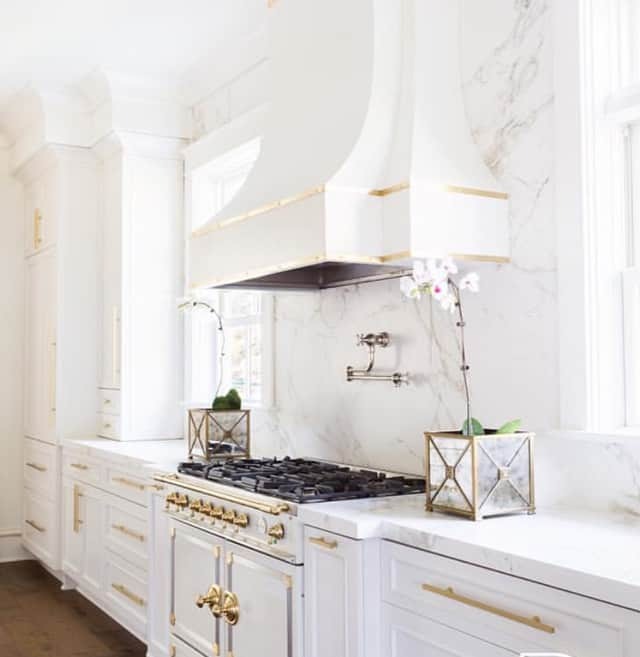 Have you ever seen a luxe kitchen setting which didn’t wow you? Well, we hope not! Along with the utilities, keeping an eye out for brilliant decor and design is equally critical. From fancy lighting and gorgeous colour scheme to heart-warming flooring ideas and exotic worktops, make sure that everything you plan for your kitchen is of great taste and also resonates well with your personality. Also, keeping the guests aside, you will be spending a significant amount of time in your kitchen, so make sure that everything you surround yourself with is a visual treat. Your hardware plays an even more critical role in carving the beauty of your kitchen than you think. Your faucet, cabinet hooks and other hardware varieties have a way of attracting eyeballs which is why taking the right pick will ensure that half the battle is won. Keep it casual or in accordance with your chosen theme for enhanced effect. Building a home is never an easy task because it takes a lot of effort on your part to make the most this opportunity. 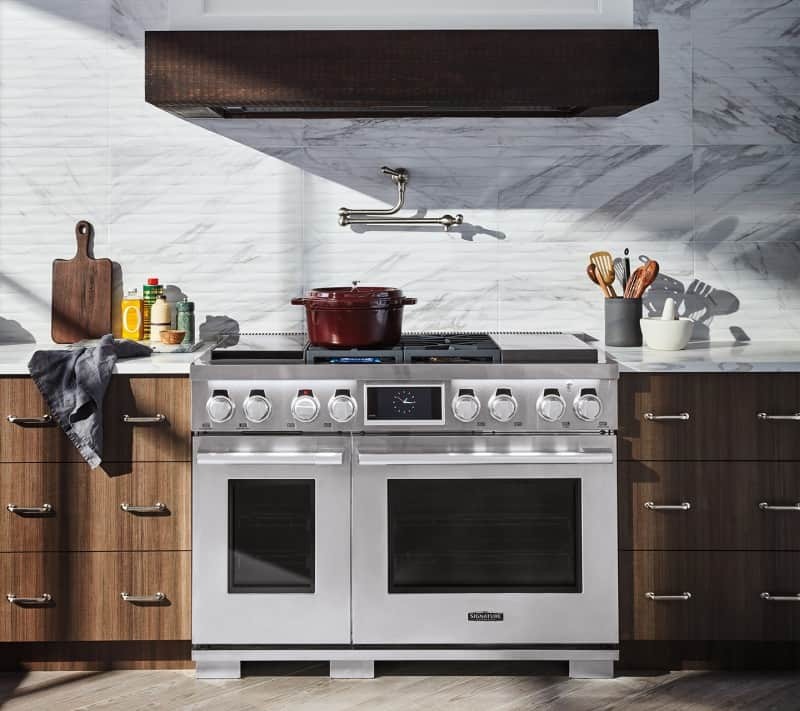 For your luxury kitchen, make sure you bear these tips in mind when shopping for the appliances and cooktops to find your real match. Also, don’t forget to hit the share button so your friends can enjoy the fruits of right kitchen investments as well. Why Glued Laminated Timber Beams Are So Popular in the Construction Industry?